With each new End Times book comes a new swathe of destruction cut across the Fantasy world. 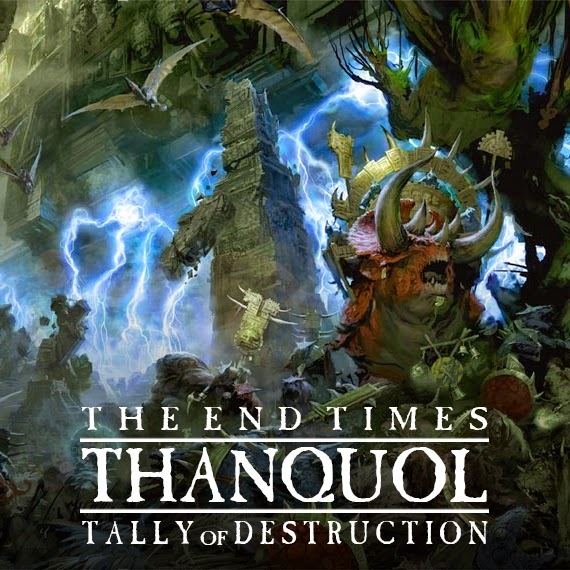 End Times Thanquol does not disappoint! Famous and well known characters bite the dust and entire lands crumble into the annals of history and Thanquol was no exception. It may start off slow, but the body count really starts climbing near the end of the book. The Slayer Keep meets a rather unpleasant end in Thanquol. Its section in the story is fairly small, but no less impactfull. Besieged by Clan Skyre, Ikit Claw arrives to take over the Skaven forces. Wanting to claim victory before any of the other clans he speeds up their plans. Not expecting the Dwarfs to leave their mountain he begins to construct deadly new siege engines close to the gates. Not one to let a challenge go unanswered, Ungrim Ironfist, the slayer king, leads a sortie out to meet the Skaven lines. Realizing he has little time left now to complete his plans, Ikit Claw alters them and has a trio of Hell Pit Abominations surgically altered to contain massive globes of an especially potent brew of poison gas. As the beasts start striding towards the keep, two of their number are brought low by Dwarf cannon fire, melting into poisonous blobs as the globes inside them rupture. The third reaches the gates and manages to tear an opening large enough for it’s mutated mass to squeeze through before the combined firepower can bring it down. This is the last thing the Dwarfs should have done though as the Abomination erupted into a massive mushroom cloud of poison inside the keep ending the story of Karak Kadrin for good. Belegar, the king of Karak Eight Peaks, had the unenviable task of of trying to hold onto the Dwarf’s meager foothold against the Skaven and Night Goblins. They started off strong, denying Queek Headtaker and his horde any ground as they burrowed up from the deep, blockading gates and stairs with regiments of Ironbreakers and Firedrakes. 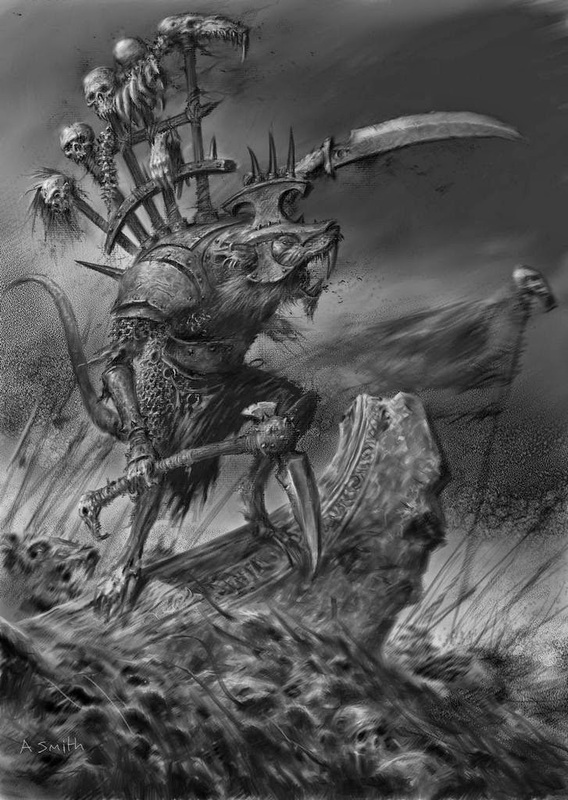 However strong in will and arms the Dwarfs were, there was no way they could hold the Skaven horde indefinitely. With each eventual defeat they were forced to pull back further into their realm. Deciding to try and draw Queek into an open battle they initially met with success, punishing the Skaven and surprising them with their Ogre allies. The tide finally turned when Skarsnik and his Night Goblins appeared from freshly dug tunnels and Golgfag and his Maneaters turned on their Dwarf allies. Belegar and his forces were barely able to retreat intact, suffering horrible losses. Their fate was sealed several months later when with less then 200 Dwarfs remaining they faced Queek and the Skaven in a final stand. When Belegar and the Headtaker finally met in combat the Dwarf king put up a fierce fight, grievously wounding the Skaven warlord. 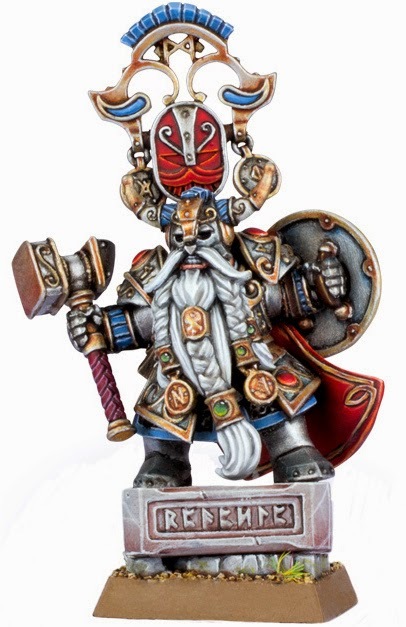 In the end Queek lived up to his name though, taking the Dwarf’s head as his own. 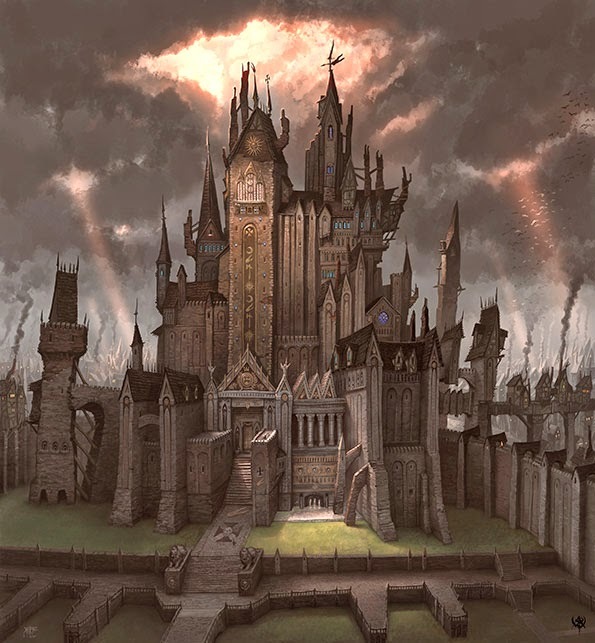 Nuln is arguably the second most powerful city in the Empire and the largest manufacturer of cannons and gunpowder. This city was targeted early on by the Skaven but due to incompetence and infighting amongst the ratmen nothing came of it until Thanquol stole power for himself. 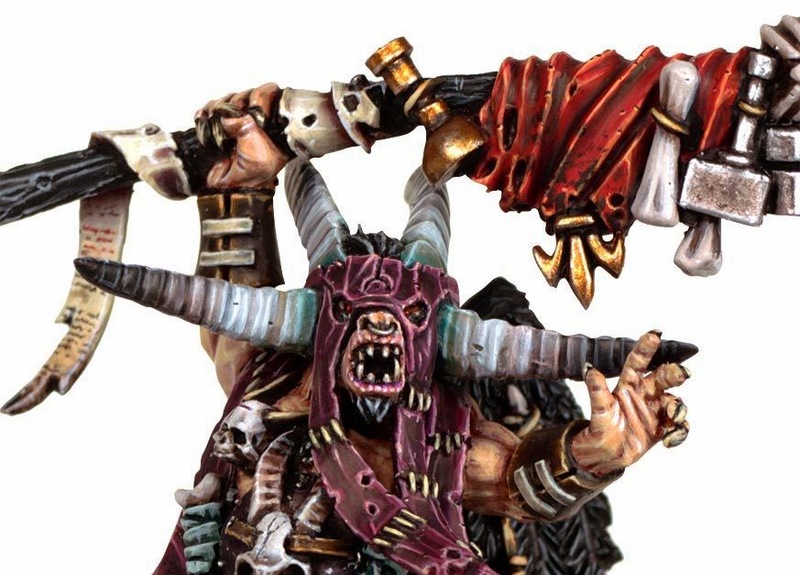 With a new and improved Boneripper and the backing of the Verminlord Skreech Verminking, he was able to quickly bring the remaining warlords into line. With newly found determination and single mindedness the Skaven launched their all out assault on the city. The foundry district was the first to fall, literally. Using devices created by Clan Skyre they blew out the ground beneath the district, collapsing it into the Skaven tunnels below. This was their ultimate objective all along, to steal as much black powder as they can and a working steam engine for Clan Skyre’s plan back in Skavenblight. With their primary objective secured the ratmen overran the city, bringing it to ruin. The men of the Empire put up a spirited defense and were almost victorious, but in the end they couldn’t compete against the massed ranks of the Skaven backed by a Verminlord. Nuln was lost, firmly in Skaven paws. 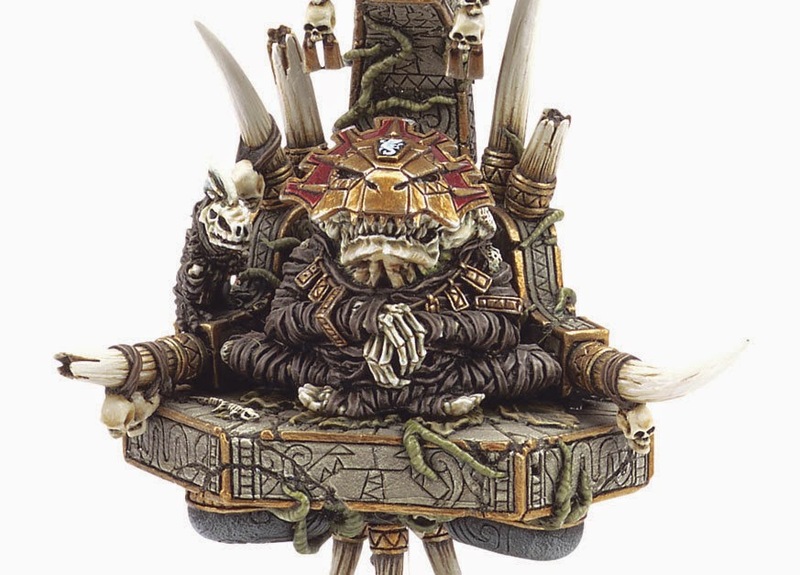 Mazdamundi is the greatest and most powerful of the Slann besides Lord Kroak. Like all of the Slann he was knocked into unconsciousness when he halted the Skaven’s attempt to drag the Warp Moon closer to the planet. He also sat out most of the remaining campaign against the Skaven, trying to scry the strands of fate to determine what was about to happen. He could sense something horrible was approaching but despite his best efforts something was blocking his senses. 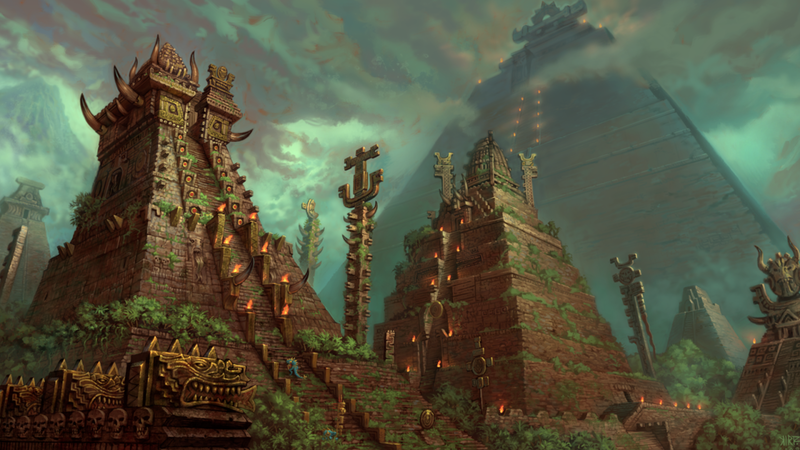 As the Skaven drew closer to Hexoatl, the last remaining untainted temple city, Mazdamundi decided to lead the Lizardmen against them personally. Knowing he isn’t the greatest general he also summoned Kroq-Gar to his side, opening a mystic portal to bring him forth. When the Lizardmen finally met the ratmen in battle many miles from the city Mazdamundi suddenly was able to percieve the future clearly. Knowing he had little time he opened up a portal to the lost city of Itza and took half of his army with him. 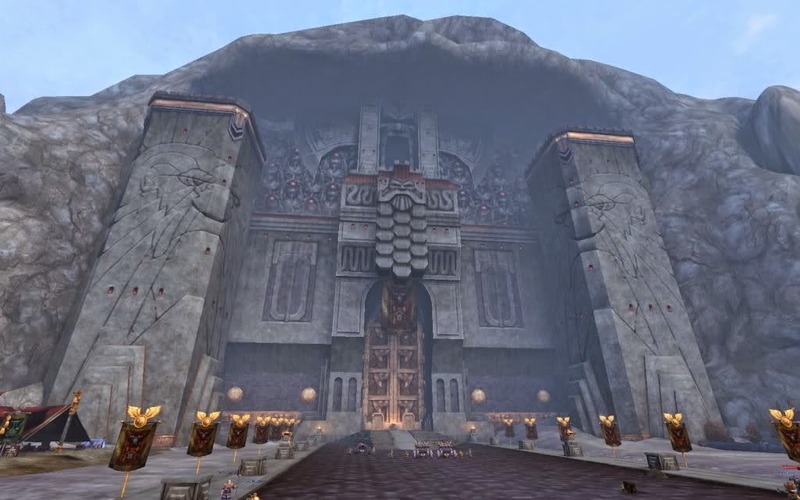 With Kroq-Gar’s help they began to batter a path towards the entrance to the pyramid at the center of the city. Seeing that they would not reach it in time he opened yet another portal and transported himself alone to the entrance. Once inside he quickly made his way to the uppermost chamber. He had foreseen the Skaven’s plan to shatter the Warp Moon with their infernal cannon, and now it had come to fruition. The Skaven had finally succeeded, the tainted moon cracking apart under the onslaught of warpstone fueled technology. As chunks of it the size of continents began to fall towards the planet, Mazdamundi knew he had one chance to save the world. He sent out a message to all remaining Slann, calling for the great Exodus to begin immediately. Bending all of his will and power towards the task he began to batter each chunk of moon with his magical might, breaking them into smaller and smaller chunks. Despite his best efforts, he was unable to destroy all of the largest chunks, and now his power was spent. Wanting to feel the wind upon his skin one last time before the world ended he started to make his way towards the outside pinnacle of the temple, but drained of all energy, collapsed dead on the stairs. Despite Mazdamundi’s best efforts he was unable to stop the onslaught of warpstone meteors that were now raining down upon the world. All of the high skink priests and the majority of the Slann had already begun there Exodus from the world. Temple pyramids began to uproot themselves from the ground, revealing their true form as space ships left behind by the Old Ones. Only the most important boarded, such as the Slann, priests and a select few including Kroq-Gar. The rest of the Lizardmen race was left behind to face their doom as the Slann returned to the stars. All was not lost though, for there was one more who could save them. Lord Kroak sat atop the temple-pyramid in Itza, feeling his protege perish beneath him on the stairs. He knew he could not stop the meteors from falling, but he could contain the damage. As they crashed into the jungles and oceans, setting off firestorms and boiling away the oceans, Lord Kroak becalmed the massive forces unleashed. He dissipated what energy he could and contained the rest to the realms of the Lizardmen. As one final gift he protected chunks of the realm within force bubbles, uprooting them from the planet and lifting them above the destructive forces tearing apart Lustria and the Southlands. The realms of the lizards now sat beneath the waves, destroyed by the Skaven’s master plan. After saving the world from the destruction of the Warp Moon the venerable Lord Kroak was consumed by the fires raging across Itza. His last might spent saving the few chunks of jungle and land within his force bubbles. The capital of the Empire survived the onslaught of the Glottkin, only to fall a short while later. Valten and his army came upon the city as it was besieged by a horde of Skaven. Breaking through the horde, Valten fought his way to the gates to relieve the Emperor and the survivors. Once inside it was decided that the city was un-holdable. A battle plan was quickly formed to allow the many civillians still inside the city a chance to escape. Valten and the Supreme Patriarch Gregor Martek lead a diversionary attack out of the northern gates, distracting the Skaven, while the Emperor and Ludwig Schwarzhelm lead the remaining forces and population of Altdorf out of the southern gates. Their plan a success the Emperor made for one of the last remaining bastions in the Empire, Averhiem. Cut off and constantly harried Valten had to abandon his plan to regroup with the Emperor and instead headed north towards Middenheim. With the city abandoned it was left to the vile Skaven to squat in and despoil. 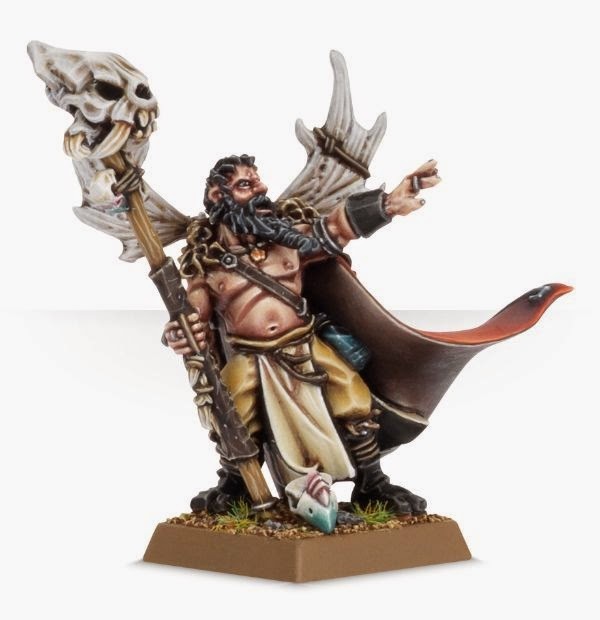 Khazrak One Eye was mortal enemies with Boris Todbring, the elector count of Middenheim. 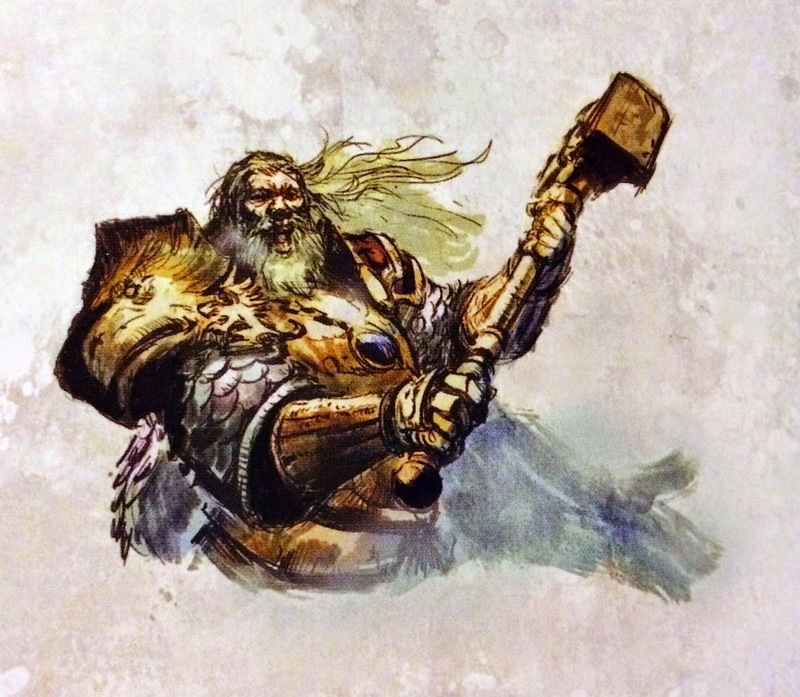 Once Valten arrived at the city of the White Wolf, Todbringer saw it as his chance to give responsibility of the city to the Herald of Sigmar and set off after the beastman. Blinded by vengeance he was led right into the trap set for him in the deeps of the forest. Chasing a herd of Ungor through the trees, the elector count led his hunting party right into an ambush. As his men were torn apart around him Todbringer faced off against Khazrak one on one. Finally able to take vengeance on the slight he felt for the loss of his eye years ago, the beastman proved to not be his equal and in the end Khazrak was speared through his remaining eye with the runefang. Triumphant though he may have been, the elector count of Middenheim did not have long to relish his victory. Surrounded and alone he was swiftly torn apart by the remaining Beastmen. An ignoble end for one of the Empire’s greatest heroes. 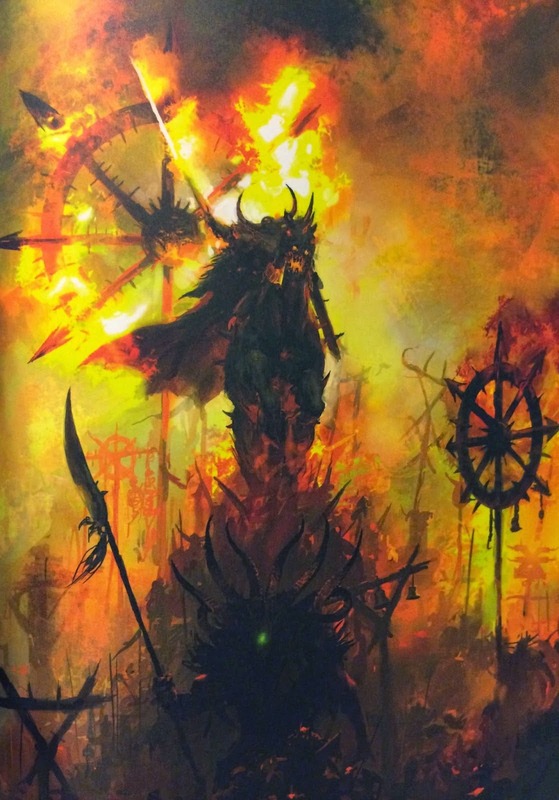 Malagor was the chosen of Chaos amongst the Beastmen, enacting their will to try and stop the return of Nagash. Although he was unable to halt the necromancer’s resurrection, the Chaos gods still had plans for him. Once Archaon began his assault on the final defenders of Middenheim Malagor was at the forefront. Flying amongst the defenders he wreaked havoc, casting spells to tear the humans apart. As he flitted through the air he was speared by an ice encrusted magical amber spear cast by Gregor Martak. Falling to the ground grasping at the wound, the Dark Omen finally met his end at the hands of the newly empowered Supreme Patriarch. As Archaon personally led the assault again the last defenders of Middenheim Valten knew he had one chance to eek out a victory. He knew there was no way they could defeat the massive horde arrayed before them, but if he could crush the head and slay Archaon then maybe he could give the rest of the Empire a fighting chance. 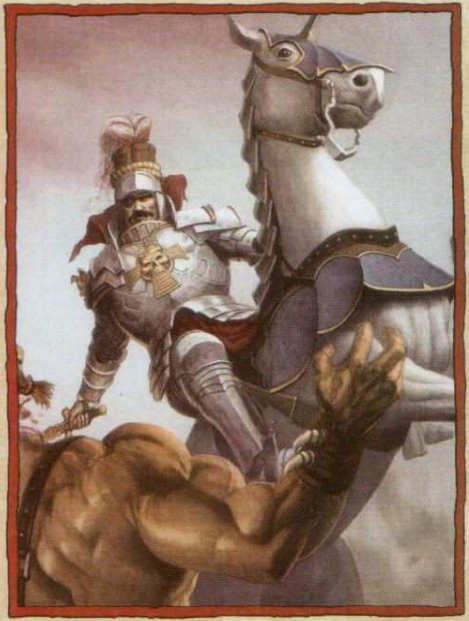 For the majority of the battle he was kept away from the Everchosen by the press of bodies, having to crush his way through the warriors and marauders. Eventually he made it to the Three Eyed King himself. 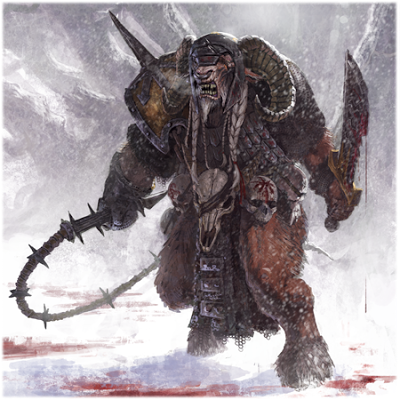 Confident that Sigmar would see him through he launched into the combat. He was able to hold his own for awhile, even denting Archaon’s shield and crushing some of his steed Darghor’s ribs. Despite his best efforts though, Valten was no match for the Chaos gods’ chosen. Slashing his chest open, Archaon pushed Valten to the ground. As he prepared the deathblow, victory was stolen out from beneath the Everchosen as a Verminlord Deceiver materialized behind the two. Gregor Martak tried to warn Valten of the danger but it came too late as a spinning blade sliced through the Herald of Sigmars neck, lifting his head form his shoulders. Who knows if Valten would have fared any better if the combat against Archaon had been allowed to continue, but ultimately his life was stolen by the servant of the Great Horned Rat, much to Archaon’s rage and annoyance. The Supreme Patriarch was imbued with the remainder of Ulric’s power at the start of the battle. Having both the might of a god and the Lore of Beasts he was able to kill Malagor and force Kairos Fateweaver to flee the battle or die at his hands. He was to late to save Valten from the Verminlord and Archaon but he was determined to seek vengeance for his death. Hurling himself at the Lord of the End Times he unleashed all of his magical might. Nothing seemed to affect him though and he was being soundly beaten. With one last spell Gregor unleashed all of the remaining power of Ulric that still resided within him. A gigantic blizzard of icy crows engulfed Archaon, tearing his cloak to tatters and blocking him from sight. Once the spell dissipated though, Archaon was left unharmed. Casually he stabbed the Supreme Patriarch through the chest and then to add humiliation swiftly decapitated him. His flayed skin now adorns Archaon’s throne. With their champion dead, the remaining men of the Empire scattered into small pockets of defense which were easily overcome. Now that no one stood to defy them, the hordes of Chaos ran rampant through the streets, making the city their own. Claiming the former temple of Ulric as his own, Archaon set up his throne of skulls within, Valten’s skull claiming a place of particular importance. Here the Lord of the End Times sat and waited. In no rush he plotted his further destruction of the Old World, setting his minions off to begin the assault on Averheim and the Emperor. 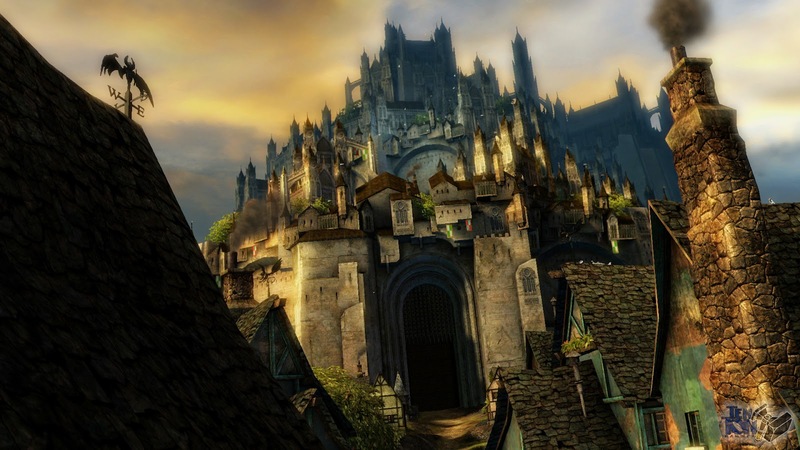 The renowned Queek Headtaker of Clan Mors had finally conquered Karak Eight Peaks, killing all of the Dwarfs and striking a bargain with the Night Goblins for them to leave. With that Dwarf stronghold now firmly in Skaven paws he was re-assigned to help Ikit Claw with the siege of Karaz-a-Karak, the Dwarf capital. 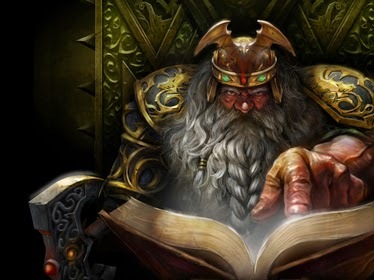 It had been declared that whoever claims the head of Thorgrim Grudgebearer will be granted the vacant seat on the Council of Thirteen. Surprisingly when Queek arrived, expecting to have to engage in a lengthy siege of the fortress, hold he was instead met with the sight of the Dwarf army pouring out of the gates to confront the Skaven head on. He held his personal guard back long enough to allow the Dwarfs to over commit in their rage, hacking through the Skaven horde until they were cut off and surrounded. Seeing his chance he led his Stormvermin against the Dwarf king and his bodyguard. As he started to battle the elite hammerers he heard the sounds of panic as reinforcements led by Josef Bugman and Ungrim Ironfist attacked the rear of the ratmen army. Knowing that time wasn’t on his side he made a final gamble, challenging Thorgrim to a duel. Trusting in his warpick, Dwarf Gouger, to penetrate the king’s defenses he was instead met with defeat. Thorgrim cleaved the weapon in two with his runic ax before swatting Queek’s other sword away with his gauntlet. Grabbing the Skaven warlord by the throat in his iron shod gauntlet, the king lifted him off the ground, slowly strangling the life from him before ending it with a final snap of the neck. Tossing the corpse to the ground Thorgrim spat on it and ground it beneath his boot before they began the business of routing the rest of the Skaven horde. Karaz-a-Karak was safe, the Skaven defeated and the Dwarf’s victorious. For now. Death Rises. Empires Rot. Gods Perish. Kingdoms Fall.